Nice is a colourful cosmopolitan destination that has attracted artists and aristocrats throughout the centuries, and when you stand upon Castle Hill to see the breath-taking blue waters that gave the Cote d'Azur its name, you'll know why it's still such a favourite with the luxury yachting crowd. Walk through the Medieval Quarter and connect with a past gone but not forgotten, then discover the legacy of previous generations of tourists in the Russian Orthodox Cathedral, where the golden icon wall was prayed to by Russian's aristocrats while holidaying in the sunshine. The British too left their mark, and the seafront walkway is named 'Promenade des Anglais', which leads to the castle and is lined with luxury shopping opportunities and first-class eateries. Any lover of Impressionism should make time to visit Musée Matisse, which has a comprehensive exhibition spanning the lifetime of the artist. On your French Riviera yacht charter you should visit the lovely old port of Nice, at the eastern end of the Promenade des Anglais. Nice is one of the more famous French cities, particularly for the arts, culture and tourism. The Nice airport is very close to the center of town and Nice’s port, and being the second largest airport in France, after Paris, it is the main airport for the French Riviera yacht charter area. The port is surrounded by superb Genoese-style old pink and yellow ochre buildings. The centre of the quartier des Antiquaires (Antique Dealers district) is only a short walk from the famous flower and Provencal markets and the street cafés of The Cours Saleya and the beaches of the Baie des Anges. 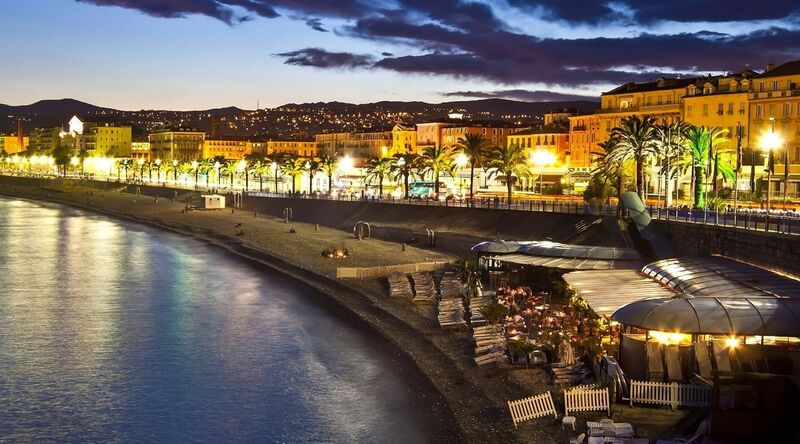 Nice is home to many culinary specialties such as Niçois, Provençal and international, which can be savored in the multitude of sea side restaurants within easy access of your charter yacht. 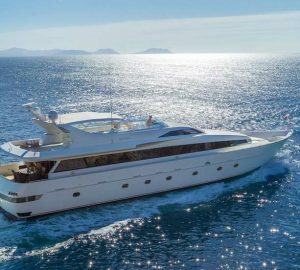 As with most of the Mediterranean, and all the French Riviera, the Nice yacht charter holiday season generally runs from April to the end of October. The summer season in July and August is the hottest and tends to have the lightest winds but also the largest crowds. This is also the high season as far as yacht charter goes. Other good times to charter your yacht is generally on either of the shoulder seasons (April-May and September-October), each side of the main summer season, as the temperatures are still comfortable, and the onshore tourists have yet to arrive in their largest numbers. As one of the most famous yacht charter grounds in the Mediterranean, Nice and the French Riviera have all types of yacht charter available including motor, sailing yacht charter, skippered, crewed yachts, catamaran, power boat, sailboat, luxury yachts and off-course the ever increasing super yacht charter. The emphasis in Nice is on larger luxury power and sailing yacht charters, although Nice, and the French Riviera, is also an excellent area for the smaller yacht to explore. Explore Location Guides for great destinations near Nice .